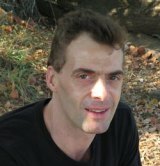 Regular readers of my book reviews -- and I hope you all are regular --know that I'm a big fan of the writing of John Michael Cummings, a native West Virginian. 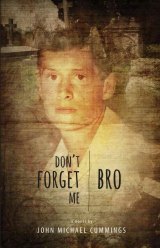 His latest novel, "Don't Forget Me, Bro" (Stephen F. Austin University Press, Nacogdoches, TX, 230 pages, quality paperback, $18.00, available at Amazon.com and other online vendors) is the first-person account of 42-year old Mark Barr, who has traveled to West Virginia from his home in Brooklyn, NY to honor the wishes of his older brother, Steve. Mark Barr is the only member of his family to leave the Mountain State; he's lived in DC, Minnesota, Rhode Island and now shares an apartment in Brooklyn with his girlfriend, Lisa, a lawyer. The relationship is rocky, pretty much the norm for Mark. He was briefly married, but the marriage institution turned out to be not for him. He's reluctant to visit West Virginia, knowing that the memories of his life there will be anything but enjoyable. His trip to West Virginia in a purple Mercury Grand Marquis, the only rental car available in South Park Slope that day in 2007, becomes a journey of self-discovery. Mark discovers that his parents, separated and living apart but still married (they're Catholics) have radically differing views of mentally ill Steve Barr. His father, whom Mark considers to be an abusive man, remembers Steve as a broken, hopeless schizophrenic. Other people Mark encounters, including photographer Whitey Upton, who's taken hundreds of photographs of Steve, believe that Steve lived a far more complicated life in his government subsidized apartment behind the Alma, WV Wal-Mart. The burial plans for Steve are complicated when Mark and his brother Jeff discover that their father decides on cremation over burial in the local Catholic cemetery. It's a shock to everyone -- No Barr has ever been cremated. It's not what Irish Catholics do. First and foremost, Cummings is a wonderful story teller. His people have an air of authenticity about them. They're people we've encountered on this strange journal through life. We're all strangers in a strange land, but from my 16 years of living in West Virginia (1992-2008) I've learned that strangeness often becomes what passes for normal in the state. "Don't Forget Me, Bro" is a beautifully written novel. Some people might find the portrait of Alma WV and other parts of the state to be negative, but reality is what the author deals with -- and has dealt with in his previous short stories and his novel. An important point: Cummings mixes real and fictional places in West Virginia, so don't go looking for Alma on a map. John Michael Cummings is a fifth-generation native of historic Harpers Ferry, West Virginia, site of abolitionist John Brown's raid in 1859, when the town was still part of Virginia. Cummings is the author of the nationally acclaimed coming-of-age novel "The Night I Freed John Brown" (Philomel Books, Penguin Group, 2008), winner of The Paterson Prize and recommended by USA TODAY for Black History Month. His 2011 short story collection, "Ugly To Start With" (West Virginia University Press), was an IndieFab Award Finalist hailed by The Philadelphia Inquirer for its "sharp observation and surpassing grace." His latest novel, "Don't Forget Me, Bro" (Stephen F. Austin University Press, 2015) has been excerpted in The Chicago Tribune. Over the last twenty years, Cummings' short stories and essays have appeared in more than seventy-five literary journals, including The Iowa Review, North American Review, The Chattahoochee Review, Alaska Quarterly Review, and The Kenyon Review. Twice he has been nominated for The Pushcart Prize. His short story "The Scratchboard Project" received an honorable mention in The Best American Short Stories 2007. Cummings holds a B.A. in studio art from George Mason University and an MFA in creative writing from University of Central Florida.